After Effects CC 2015.3 (13.8) is now available. This version is focused on performance and how to make the things you touch everyday faster. From import to final render, it is fine-tuned the experience of working in After Effects. The After Effects CC 2015.3 (13.8) allows you to create dynamic, visually stunning motion graphics and visual effects wherever inspiration strikes. It connects with Creative Cloud mobile and desktop apps seamlessly, allowing your creativity to inspire you - wherever you are. However, we still found some guys have trouble in editing MTS files with this After Effects CC 2015.3 (13.8) from Google. Although Adobe announced that AVCHD is supported natively in After Effects CC 2015.3 (13.8), and mostly the software allows you to import MTS to After Effects CC 2015.3 (13.8) and edit them, the MTS videos may hop back and forth when you play them. Why should this happen? Let me explain it. Firstly, you need to learn a bit about the MTS format. *.mts is a filename extension used for AVCHD, a high-definition recording format designed by Sony and Panasonic that uses H.264 (conforming to H.264 while adding additional application-specific features and constraints) codec. H.264 encoded MTS video is highly compressed, good for transporting, but poor for editing. By the way, in order to play MTS videos on PC smoothly, your processor must be very powerful. In a word, if you want to make a short film from MTS footage with After Effects CC 2015.3 (13.8) and prefer fluent playback, an MTS to After Effects CC 2015.3 (13.8) Converter definitely helps. 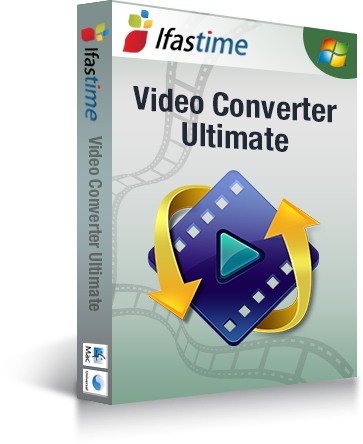 Here, we strongly recommend you an efficient and powerful AVCHD Converter - iFastime Video Converter Ultimate. This program converts MTS files from Canon, Sony, Panasonic, GoPro, JVC cameras to editable formats like MPEG-2 and obtain HD quality (1920*1080, 1440*1080, 1280*720) for the After Effects CC 2015.3 (13.8). With it, you can also convert any video such as MP4/MOV with AVCHD camcorders to popular video format like MOV, AVI, WMV, MP4, FLV, etc. Once the conversion is done, you can edit MTS files to After Effects CC 2015.3 (13.8) without any issue. Downloaded and installed the converter, launch it. Click "Add" button to load your MTS files. Alternatively, drag & drop the files into the program directly. If you want to combine multiple MTS files to be a single file, just need to select the files and choose "Merge into one file" option. Click the "Format" to choose After Effects CC 2015.3 (13.8) supported format. Navigate to "Adobe Premiere/Sony Vegas". 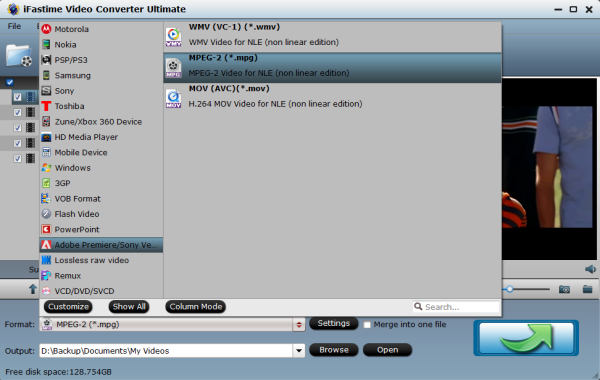 Here, you can choose the MPEG-2 (*.mpg), MOV (AVC) (*.mov) or WMV (VC-1) (*.wmv) as output format. The MPEG-2 (*.mpg) is the most compatible format with After Effects CC 2015.3 (13.8).You can also set the output folder by clicking "Browse" icon as you prefer. Note: Click the "Settings" icon and you will get a new interface named "Profile Settings". 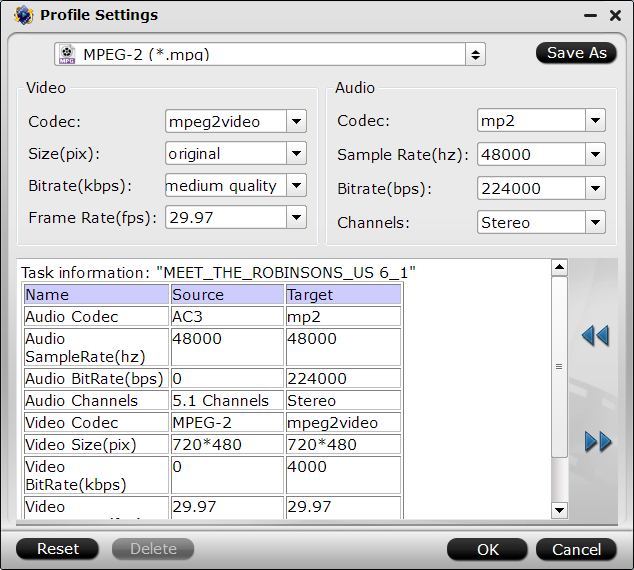 You can change the default codec, bit rate, frame rate, sample rate and audio channel according to your needs and optimize the output file quality. Click the "green" button on the right-bottom. It will begin to convert MTS files to suitable format for After Effects CC 2015.3 (13.8). After the conversion, you can get the re-encoded videos for Adobe After Effects CC 2015.3 (13.8) from the output folder effortlessly. In this way, you can effortlessly import and edit MTS files in After Effects 2015.3 (13.8) smoothly with no issues. Additionally, if you want to play your MTS files on some devices like Samsung TVs, Sony TVs, Xbox One S, 3D VR Headset, etc, you can still get to those done by this efficient converter.